« Smithsonian Magazine Museum Day Live! On Saturday, September 22, 2018, during Luther College Family Weekend, Vesterheim is hosting special folk-art demonstrations throughout the day. 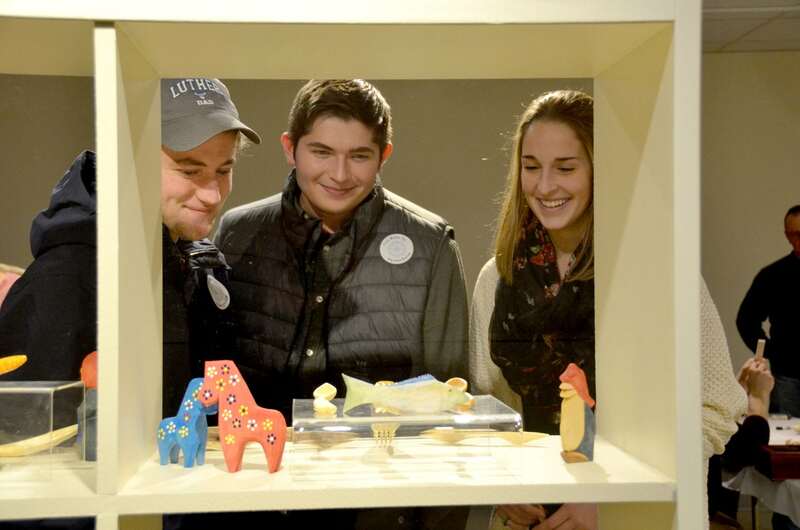 We invite everyone to the museum to enjoy the activities as we welcome Luther families. From 10:00-5:00, folk-art demonstrators and greeters will be current or former Luther staff, faculty, or students. Special exhibits on view at the museum include Spoons: Carving. Community. ; Rocks and Hard Places: Emigration Through the Lens of Knud Knudsen; and Christian Midjo: Choose Your Own Artventure. Regular admission prices apply. Luther College faculty, staff, and students, and Vesterheim Museum members receive free admission to Vesterheim all year long. **This year’s event is held during Smithsonian Magazine’s Museum Day Live!, which will provide two free tickets to Vesterheim if tickets are printed from their website here.